When you come to consider your eye makeup for your wedding day, there can be plenty of decisions to make. Below are some things that you may want to think through before coming for your trial. First, you will want to decide if you are going for a shimmer, a glitter or a matt eyeshadow. Then you will also need to think about the colours you want to use. You may decide to have thick eyeliner or thin or not at all. And of course, some opt for individual lashes to add volume and or length too for the big day. For some, you will also have to decide whether to wear your glasses or opt for contact lenses. Glasses can distinctly change your look, so take them along to your trial with you as your hair and makeup artist will want to know so that they can adapt the eye makeup accordingly. 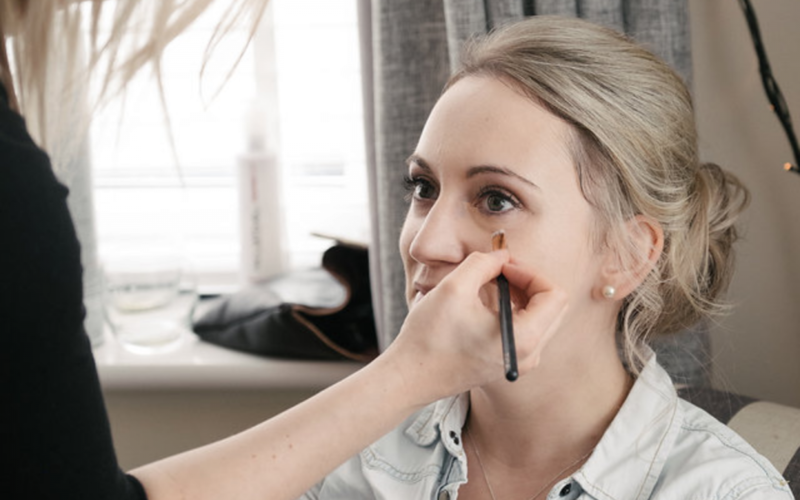 If you are unsure, look at old photographs of yourself with various looks and discern what is most flattering for your eye shape, this can then influence what you want to base your look on for your wedding day.